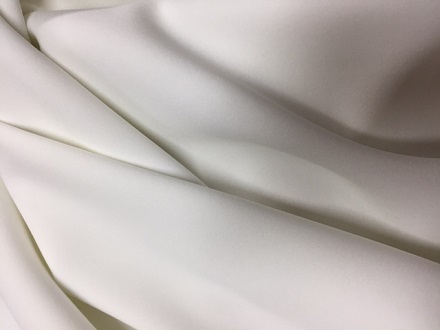 60″ wide 95% Polyester 5% Lyca a great weight for slacks, skirt, jacket Do not need to worry about lining slacks, leggins. Even a jacket, skirt. Lots of options for a quality scuba knit.